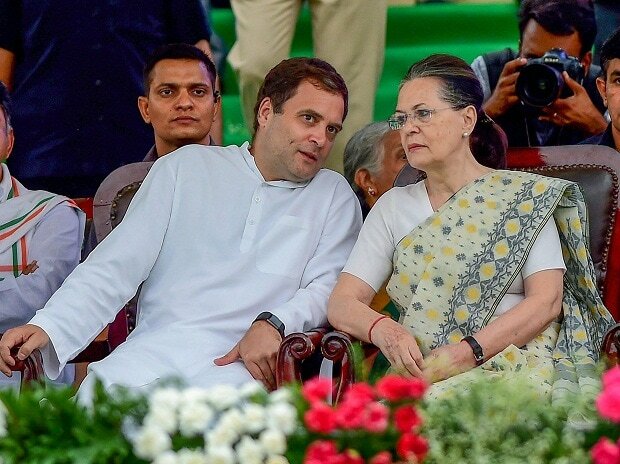 The Congress Thursday released its first list of 15 candidates for the Lok Sabha elections, fielding UPA chairperson Sonia Gandhi from Raebareli and party president Rahul Gandhi from Amethi. The first list, finalised at a meeting of the party's central election committee chaired by Rahul Gandhi, names 11 candidates from Uttar Pradesh and four from Gujarat. Former Union ministers Salman Khurshid, Jitin Prasad and R P N Singh have been fielded from their traditional seats of Farrukhabad, Dhaurahra and Kushi Nagar respectively. Former UP Congress chief Nirmal Khatri will contest from Faizabad, while Bharatsinh Solanki, the party's ex-chief of the Gujarat unit, has been fielded from the state's Anand constituency.